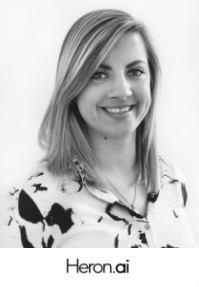 Katie Gibbs is Head of Consulting and Delivery at Heron, a technology agnostic AI consultancy. Katie has designed a range of packaged consulting services called Nest to make AI technologies more accessible for enterprises and to expedite the delivery of bespoke AI solutions. She has become a champion for using AI tools to better understand data and to drive valuable insights since being challenged to identify insights from 1 years worth of customer data in 1 day, which resulted in an Enterprise client completely overhauling their training for all call centre staff.